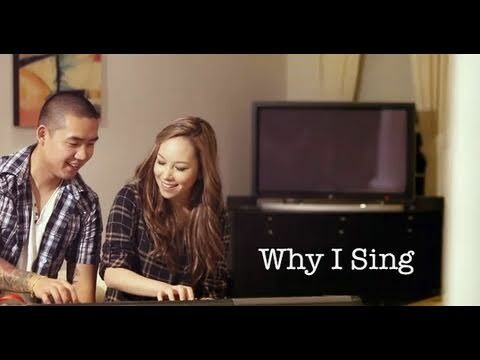 The Jubilee Project released their latest video “Why I Sing“. They produced this video to raise awareness and money for HepB Free with the help of the band “Rooftop Pursuit”. Hepatitis B affects 1 in 10 Asian Americans and Pacific Islanders. Influenced by Korean Dramas, the music video is about love’s inevitable let downs. Relationships don’t always have a fairytale ending. It’s also a story about love that is unconditional; despite the bitter realities it faces, love is patient, love is kind, and love always perseveres. 1. Spread the love. Every time this video is viewed in the month of April, sponsors will each donate a penny to the organization. 2. Become a sponsor by emailing project.jubilee@gmail.com and pledge to donate 1 penny per view in the month of April (remember, you can cap your donation). See previous causes supported by Jubilee Project including Love Language, Beautiful, and Waiting Game. This entry was posted in charity, health, music, shorts on April 6, 2011 by Kevin Hsieh - channel APA.